Have enough miles? Here are the best ways to redeem United miles. Vacation planning can be pricey. Doing it in style can cost even more. That's where United's MileagePlus rewards comes in. United MileagePlus miles are some of the most desirable on the market. With great awards flights and tons of hotel, car, and vacation benefits, you can get some serious deals. Plus, being a part of Star Alliance gives you access to some of the best flight upgrades. We put together this list with all of the ways that you can earn United miles. Take these tips and enjoy seeing the world with miles, instead of draining your bank account. Deal of the Day: Earn 60,000 Bonus Points with Chase Sapphire Preferred. Terms Apply. Before you start, you need a MileagePlus account. This account will store all of the miles that you collect. If you don't already have one, you can sign up on United's website. This is completely free to join. And you don't need to have a United credit card in order to earn miles (though it'd help you earn them faster). Read on to learn smart ways to load this account up with miles. There are some credit card programs that will let you transfer points to United MileagePlus. These are often your best bet for earning miles fast. 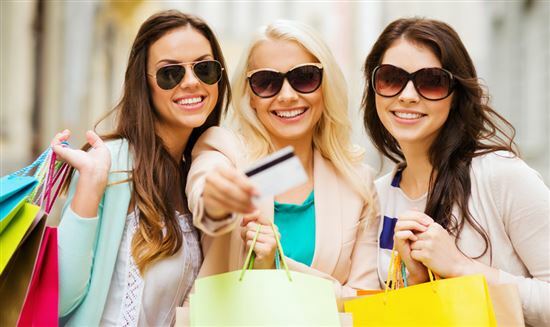 Credit cards, like the Sapphire Preferred or Reserve, often offer great sign-up bonuses and points with every purchase. Read on to see which cards will get you the most possible miles. 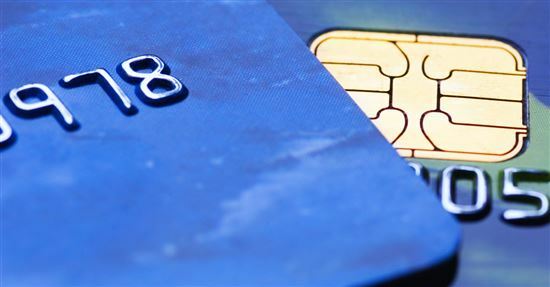 Chase Ultimate Rewards (UR) is considered the best of the rewards programs out there. These cards have very generous sign-up offers and give extra points in bonus categories. Plus, Chase has a shopping portal where you can earn even more bonus points. Go ahead and transfer them 1:1 into your United MileagePlus account (1,000 UR points = 1,000 MileagePlus miles). To start, check out the latest Sapphire Preferred promotion. To start, check out the latest Sapphire Reserve promotion. To start, check out the latest Ink Business Preferred promotion. Points vs miles? Different rewards programs named their rewards points different things. Chase Ultimate Rewards and American Express Rewards say "points." United rewards you in "miles" (this has nothing to do with whatever distance you fly with United). Chase and United also joined forces to bring you the United MileagePlus line of credit cards. These cards reward loyal United fans with extra perks like priority boarding and free checked luggage. How many miles do you need for a free flight on United? SPG also lets you transfer points to United miles. But the transfer rate is disappointing. The only reason to really go for this transfer is if you need a few more miles for an award flight. There is another option, however. 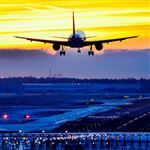 You can transfer your points to All Nippon (ANA), Air Canada, and Singapore Airlines - all members of the Star Alliance. If you transfer 60,000 points at a time, SPG will give you a bonus of 15,000 points. Once your points are transferred, you can use them to book flights on United. This one is pretty simple - book flights on United and earn miles based on the cost of your ticket. You just need to be a MileagePlus member. You can book with whatever credit card you have on hand. The number of miles you earn is 5X the fare you are paying. For example, a $100 flight will earn you 500 miles. United's awards system is cost-based. Some of its partners, like Lufthansa, have a distance-based system. This means the further you travel, the more points you earn. If you find a cheap international flight with someone like Lufthansa, you might be better off booking with them. They'll give you more points than United in that case. Then you can transfer those points into United miles. An example: United has a $500 flight from New York to London. They'll give you 2,500 miles for buying the flight (500 X 5). Lufthansa, however, has the same flight for $500, but they'll give you 5,000 points because it's a long flight. It's better to book with Lufthansa here and then transfer those points to United. There are other ways to maximize your miles earnings without being a Premier member. By buying your ticket with one of the credit cards we talked about above, you'll multiply the miles you earn. For example, if you have the Chase Sapphire Preferred, you'll earn 2x points for travel on the card AND 5x miles for being part of MileagePlus. There are some exclusions. You will not earn miles on award travel, chartered flights, reduced rate fare, and opaque fare from places like Priceline and Hotwire. Basic Economy tickets will not earn credit towards Premier status. United never charges fuel surcharges on award flights, not even on partner flights. The Excursionist Perk allows you one free flight in your destination region, and one free open-jaw upon your return. There are many ways to earn miles without flying, making it easy to rack up miles. 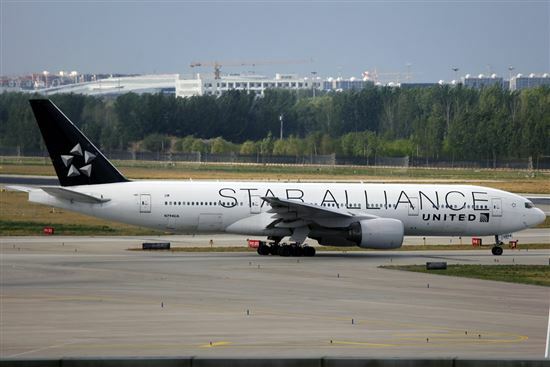 United is part of the largest airline group out there - Star Alliance. 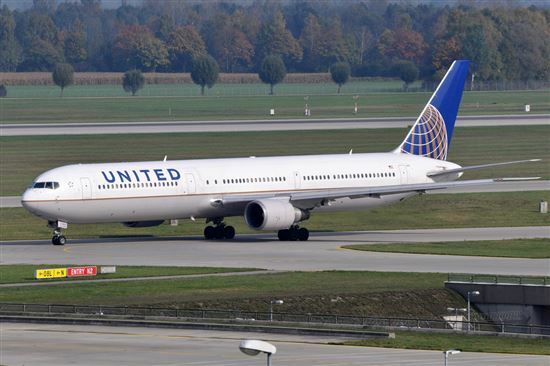 This includes United and 28 other airlines, like Lufthansa and Copa. If you book on one of these partner airlines, you can have your miles forwarded to your United MileagePlus account. 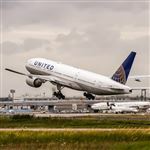 Being based in Washington, D.C., United Airlines is my go-to carrier. Recently, I used a bunch of miles for a family trip to Colombia in business class. When redeeming miles on Copa Airlines, the pricing is more favorable, requiring fewer miles to book Copa's business class than United's economy class. It's a little trick I use whenever I fly to Central and South America via Copa." United can set you up with all-star vacation packages and let you earn miles in the process. United Vacations offers all-inclusive resorts and top tier hotels throughout the world. You can also customize your package by choosing what you want included - hotel and airfare, activities, hotel and car, etc. You'll earn 2 miles per $1 spent when you use a Chase or United credit card. Bump that up even more by booking one of their featured offers. Check out United's cruises portal if you want to vacation on a seriously luxurious cruise ship. Cruises travel all over the world and you can earn 2X the points by booking with a United or Chase credit card. They also have great offers, especially during the off season, that can earn you thousands of additional points. 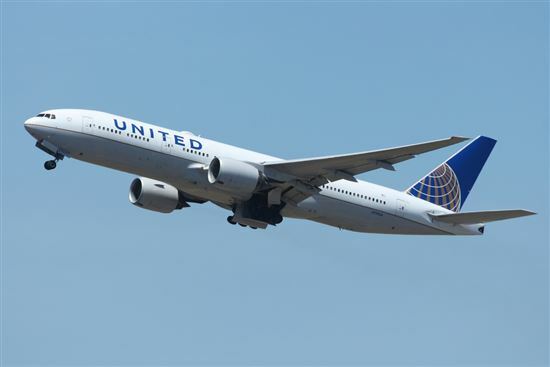 United has also partnered up with a various other travel services. These folks can make your travel experience better while earning you miles. Thanks Again: Get miles for dining, shopping, and parking at specific airports. Travelex: Online currency exchange that lets you earn 1 mile per $2 exchanged up to 500 miles. Earn 1 mile per $1 exchanged above $500. Visa Central: When you need to get a visa or passport for your travels, you can do it through Visa Central. They give you 1,000 miles each time you use their services for a visa. You have to shop and eat anyway, so why not earn a ton of miles while you're at it? United has an online shopping portal with over 850 popular stores. By shopping through the portal, you could be earning 1-9x miles per dollar spent. Check out United's "Offers" tab in the shopping portal for stores that are running special point offers. You could get a ton of points and perks like free shipping. You don't have to use a United MileagePlus credit card. If you do, though, you'll also get card reward points on top of it. That seems like a win-win. Whenever you feel like going out to eat, check out United's Dining Program. It's easy: create a free account and register your credit/debit cards. And then dine and pay with that card at one of the participating restaurants. The program also has sign-up bonuses where you can receive extra miles when you meet the requirements. The site will show you which nearby restaurants are part of the program. As a VIP member, you can earn 5 miles/$1 spent. To become one, you must sign up to receive email offers and have 12 transactions in a calendar year. Earn even more if you're using a credit card that also gives extra points for dining, like the Chase Sapphire Preferred. This is basically your mobile version of the shopping and dining programs. The app finds nearby participating stores and restaurants. You can earn bonus miles when you physically shop or eat at the store. The payment process is a little weird. While checking out, you type the total amount into the app. The cashier or waiter then scans the code on your phone screen. You get charged for a gift card of that exact amount, which then applies itself to the bill. Heads up: since you're technically buying stuff with a gift card, you are subject to the store's gift card rules. 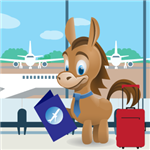 Many hotels offer rewards programs that can then transfer over to United miles. You can compound your miles a lot of different ways through hotel stays. Read on to see some of the ways to earn more miles. Sign up for the partner hotel's rewards program. Choose MileagePlus miles as your earning preference when making your account. Not only do you earn miles for using a credit card to book travel, many hotels will multiply the miles earned. For example, IHG hotel guests will receive 2 miles per $1 spent at most hotels. The World of Hyatt will give you 500 miles per stay. Check out the full list of hotels and offers on United's website. Marriott and United came together to form "Rewards Plus." You'll earn more points at Marriott hotels with this program. However, the real benefit here is if you're a United Premier Member. If you get to Premier Gold Member status, you are automatically a Marriott Gold Elite Member. This normally requires 50 nights of hotel stays, so this is a great perk without spending tons of nights in Marriott. You can then transfer Marriott points to United miles at a 1:1, or sometimes a 0.9:1, ratio. The other perk comes from an HHilton and United partnership. Through their Double Dip program, you can earn 10 Hilton points per $1 spent and 1 mile per $1 spent during your trip. Add your United MileagePlus information into your Hilton profile to rack up these points. United has a couple of partner booking services that can help plan your next hotel stay. When you book with Pointshound or Rocketmiles, you can rack up to 10,000 miles per night in their participating hotels. You can open a hotel credit card and then transfer points to United miles. Unfortunately, this isn't your best option since the transfer rates are terrible. If you're going to open a hotel credit card, you're better off using it for award nights. Once you get to your vacation destination, you're going to need a way to get around. 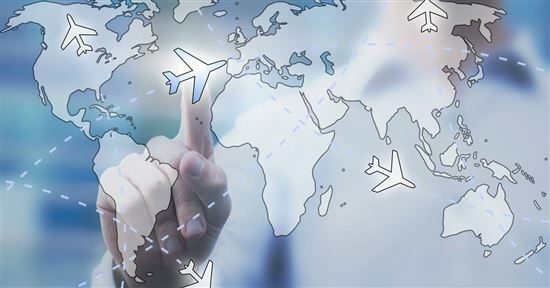 Use the following services in order to hit the road and get even more United miles. Earn United miles when you rent a car with Hertz, Thrifty, and Dollar. They each have their own structures and offers, so make sure to check them out before you book. Booking is simple: use United's car rental search (while logged in to your MileagePlus account) to find the prices for rentals from each company. Choose the one that is best for your needs. The miles will be credited to your account once you pay. Use Super Shuttle, Ground Link, Carmel, ExecuCar, and Bandwagon to get around cities or to and from the airport. All you have to do is type in your MileagePlus number when you check out. Amtrak has an oddly specific way to earn miles. But if it works for you, you can pick up a few points with them. The first option is traveling to Newark International Airport (EWR) from one of their specified train stations. You also need to be flying on United out of Newark. The other option involves traveling from New York's Penn Station on an Acela Express train. It's best to check on United's page for more information. These options could earn you 250-500 miles. United partnered up with Broadway and a variety of art and theater companies to create MileagePlus Audience Rewards. Participating Broadway shows usually offer 100 miles per ticket. Earnings go down from there for off-Broadway shows. You can check out their special offers, where you can earn 1,500+ miles for tickets. Overall, this isn't the fastest way to earn miles. It's helpful if you're already planning on seeing a show that's coming to town. To register your MileagePlus account with Audience Rewards, go to the homepage and log in with your MileagePlus number. United paired up with the National Foundation for Cancer Research to offer miles in exchange for donating. United will give you 10 miles per $1 on donations over $25. Brighten up someone's day and get miles at the same time. United MileagePlus members earn 30 miles per dollar spent when you order from FTD. Is the recipient more of a foodie instead? FTD also offers gift baskets of cookies, fruits, coffee, and other treats. If you happen to need these financial services, you might be able to bring in some more miles in the process. Quicken Loans: Earn 25,000 miles whenever you close or refinance a home through Quicken Loans. Lending Club: Invest with Lending Club and earn 1 mile per $2 invested. You can also get 1 mile per $1 borrowed from Lending Club. Liberty Mutual: Purchasing one of their insurance packages can earn you up to 10,000 miles. Always talk to a financial advisor before making these decisions. The extra miles aren't worth it if these services aren't a right fit for you. United will even reward you with miles for working with one of these partners. If you decide that these are the best options for your home, get some United miles in the process. Make sure, however, that you can't get better rates elsewhere. That would ruin the point of earning miles in the first place. Lifelock: Lifelock will give you identity theft protection and 13,000 miles when you enroll in their services. Mercedes-Benz: If you buy a Certified Pre-Owned Mercedes, you could be eligible for 25,000 miles. NRG Home: Have NRG Home be your energy provider and they will give you 12,500 miles after two months. After that, you can earn 3 miles/$1 spent on their services. Most companies are willing to pay to understand customers' opinions. Fill out surveys on Opinion Miles Club and e-Miles in exchange for United miles. They even offer a sign up bonus. You won't earn tons of miles per survey, but it is a nice way to top up in your free time. If you have a friend who feels generous, they can transfer some of their miles into your MileagePlus account...for a fee. They'll charge you $7.50 per 500 miles you transfer and a $30 processing fee. United will let you transfer a max of 100,000 miles per year. It's not the best way to earn miles, but if you have a miles-rich uncle who wants to gift you some miles, then more power to you. This option is coming in dead last because it should be your very last resort. By buying miles, you are spending money without getting much in return. The only reason to do this is if you are very close to paying for an awards flight with miles. You can buy 1,000 miles for $35. You must buy a minimum of 2,000 miles and it goes up in 1,000-mile increments from there. There are a lot of ways to rack up miles with United. Use our advice above and then trade those miles for some amazing vacations.